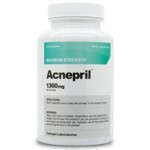 Sometimes the best solution to a problem is simple, and that can include erasing acne. Some treatments for acne have impressive looking lists of ingredients that should eliminate acne and help prevent breakouts, but it doesn’t always take every vitamin or mineral under the sun to heal the skin. Will a less complicated approach be more effective? Glytone Acne Treatment Gel says yes, but let’s look at the ingredients to see how effective it will actually be. 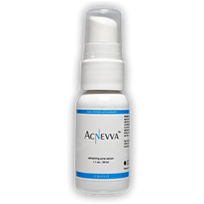 Glytone Acne Treatment Gel is a prime example of a simple remedy for acne that harnesses the strength of one active ingredient to get the job done. By is that just too simple?Glytone Acne Treatment Gel has imidazolidinyl urea to kill acne-causing bacteria, but that isn’t what gives the gel its strength to treat acne. 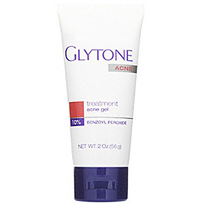 Glytone Acne Treatment Gel utilizes 10% benzoyl peroxide (BPO) to help eliminate mild to moderate acne. Benzoyl peroxide penetrates the pores to unclog pores and kill bacteria.A lot of people assume that a high dose of benzoyl peroxide means the product is stronger, and we hate to break it to you but that isn’t always the case. Studies report that 2.5-5% benzoyl peroxide is the optimal and effective dose. The same studies prove that a dose higher than 2.5% benzoyl peroxide isn’t any more effective at erasing acne or preventing breakouts. So Glytone Acne Treatment Gel may at least has an effective dose, but it is not monumentally better or stronger than a 2.5% BPO treatment. Is Glytone Acne Treatment Gel Safe? With a high dose of BPO there is a bigger risk of experiencing side effects that include dry skin, redness, and further skin irritation. There are no moisturizers in the Glytone Acne Treatment Gel to counteract these minor adverse effects, so you will need to use a moisturizer afterward. 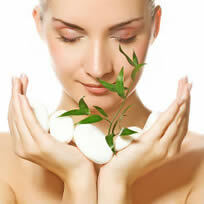 The Glytone Acne Treatment Gel is an effective treatment for healthier looking skin. The thing about this treatment is that there are alternative treatments for acne that are just as effective but they combine soothing agents for the skin so you can have a one-step solution and reduce the risks associated with BPO.